Booktalking with my students is my FAVORITE part of my job! 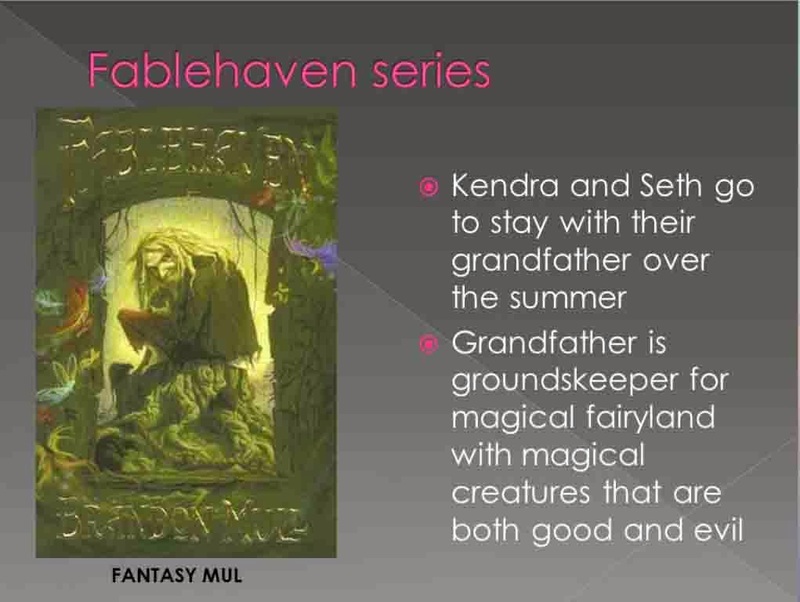 Below are some examples of booktalks I've used with my 6th-8th graders. Feel free to use/modify these as you need to for your classroom or library. Enjoy! Middle School Graphic Novels booktalk--Used with 6th and 7th grade ELL students. Includes 17 graphic novels. Gothic Horror and Ghost Stories--This was for a 7th grade class learning about our horror section. 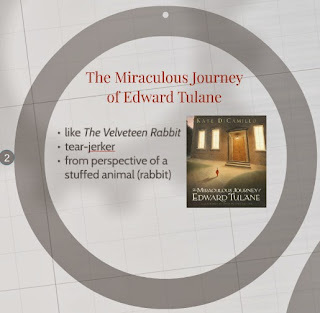 Booktalk Prezi: Books in Verse--Great for April, which is National Poetry Month! Don't Judge A Book: Great Books With Awful Covers--I originally used this with 6th grade, but I have added a couple of titles for 7th and 8th grade since then. 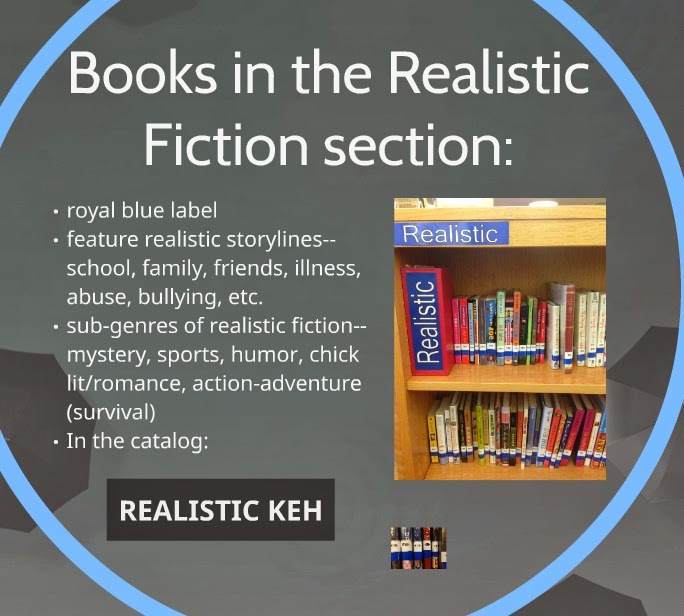 "Get Real...istic"--features books about bullying, weight issues (male and female), teens serving jail time, and hoarding. Recommended for Gr. 7-10. "Why You Gotta Be So Mean?" 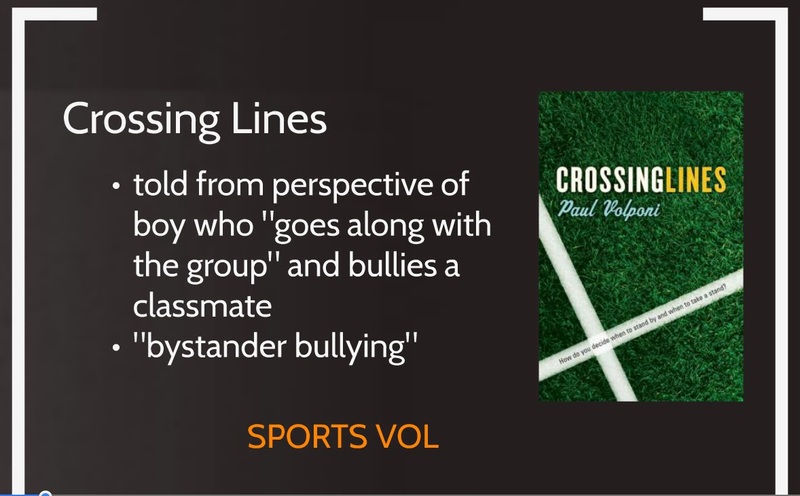 --features books about bullying, hazing, and hate crimes. 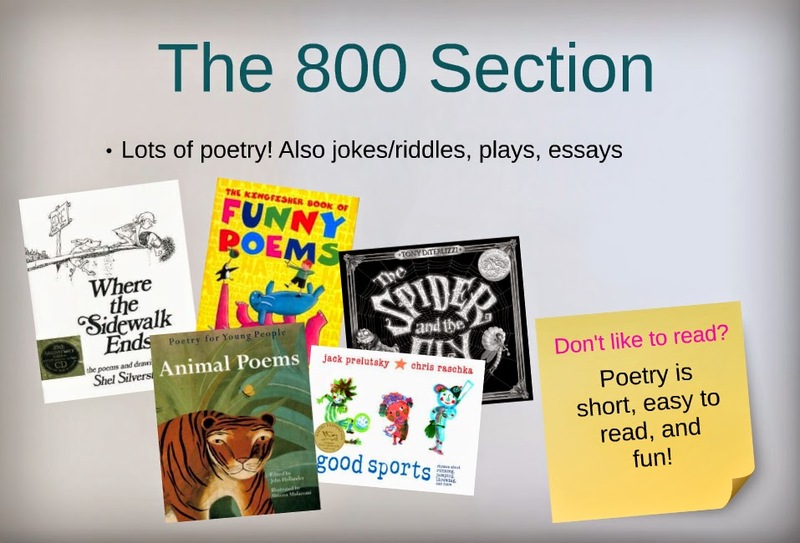 Used with 8th grade, but appropriate for grades 7-10. 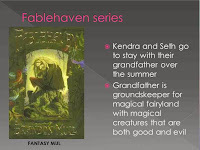 Once Upon A Time--Features 14 fairy tale fiction titles and four book trailers. I used this one with sixth grade, but it would work with older middle schoolers also. 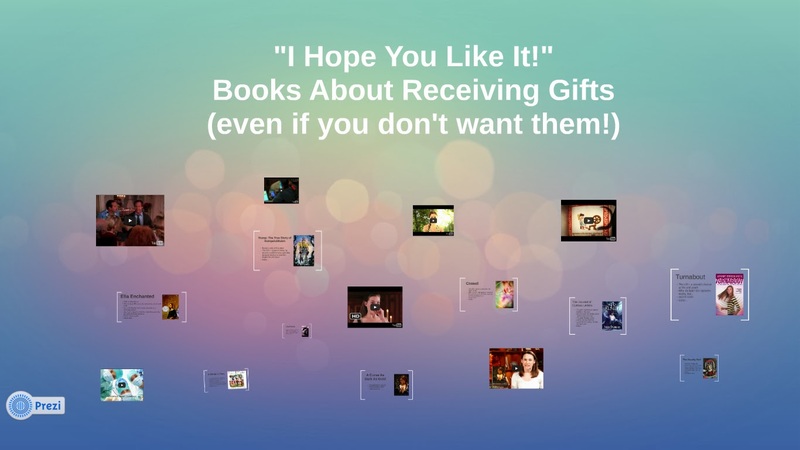 Gifts That Come At A Price--Well-intentioned curses, creepy family heirlooms, gifts from a stalker...these are NOT my favorite things! This one starts with a clip from National Lampoon's Christmas Vacation. Reading Road Trip: Texas to California--Similar to Reading Road Trip: Texas, but this time, we leave Texas and head west! One book for each state along the way (2 for Colorado), for a total of 10 books. 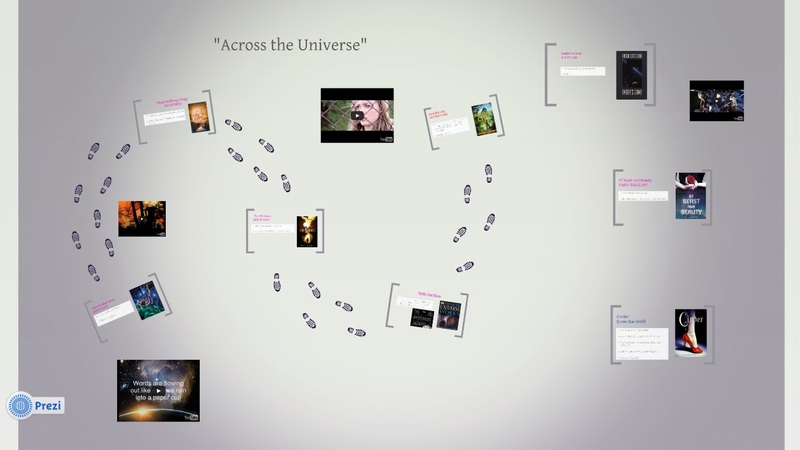 "Across the Universe"--This outer space-themed booktalk combines two of my greatest loves: The Beatles and science fiction. 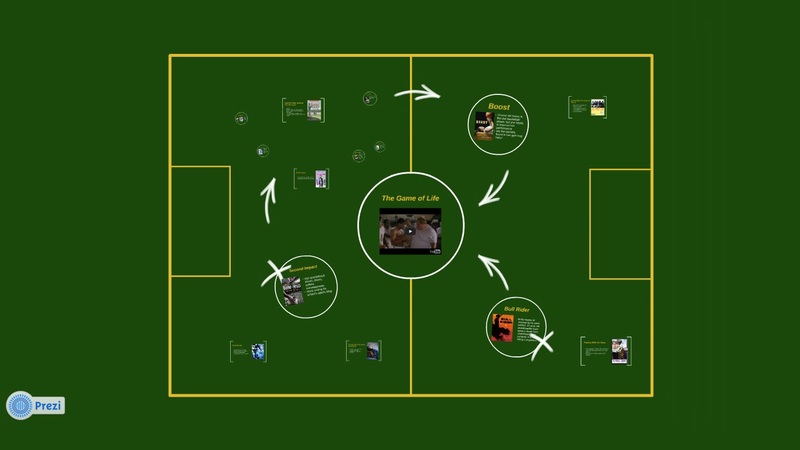 The Game of Life--Uses a clip from Remember the Titans to set the stage for some awesome sports reads! 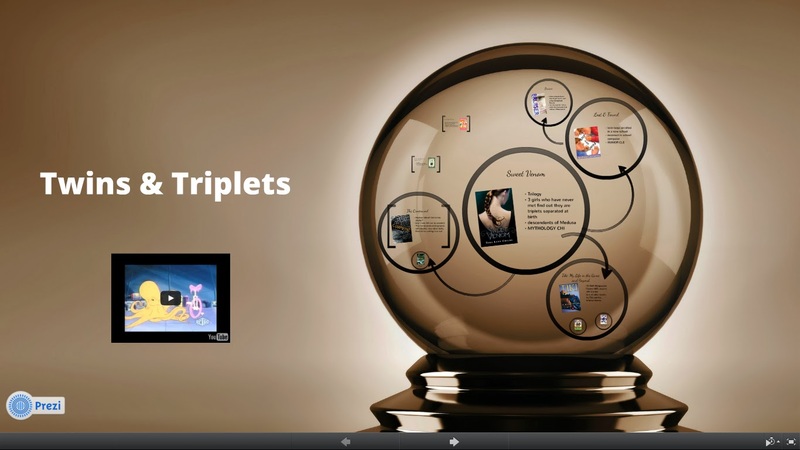 Twins & Triplets booktalk--10 books featuring twins and triplets. Used with 6th grade. 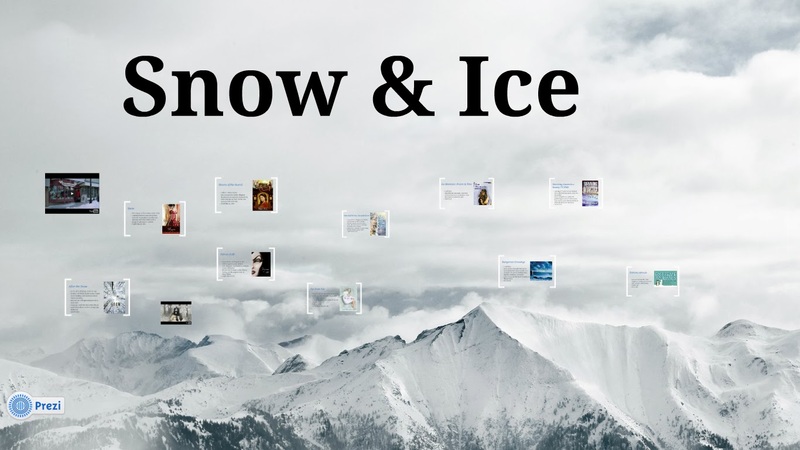 Snow and Ice Booktalk--10 books set in snowy, frigid climates. Used with 7th grade. T.H.A.N.K.S.G.I.V.I.N.G. 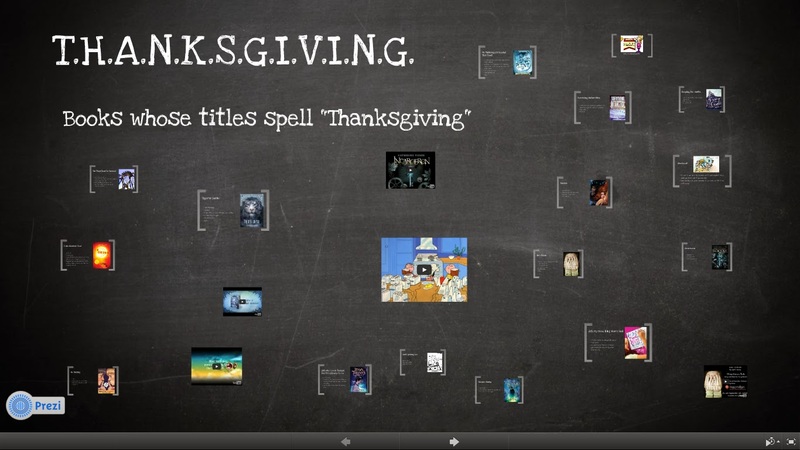 booktalk--The titles featured in this booktalk spell out the word "THANKSGIVING." Used with 6th grade. 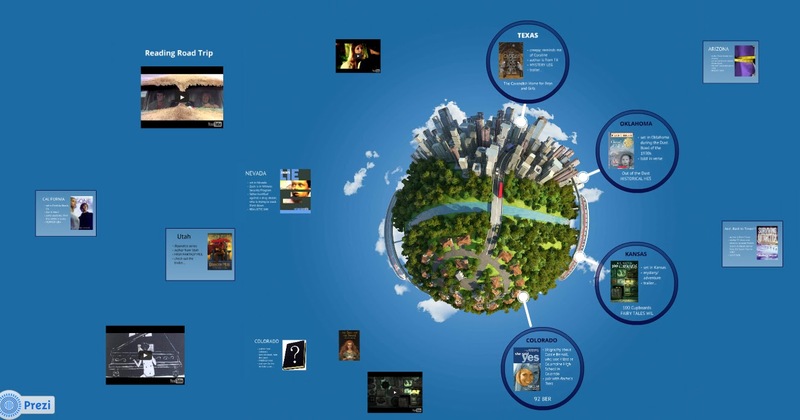 Post-Apocalypse and Dystopia Prezi Booktalk--Yes, there ARE other great post-apocalypse and dystopia novels OTHER than The Hunger Games! 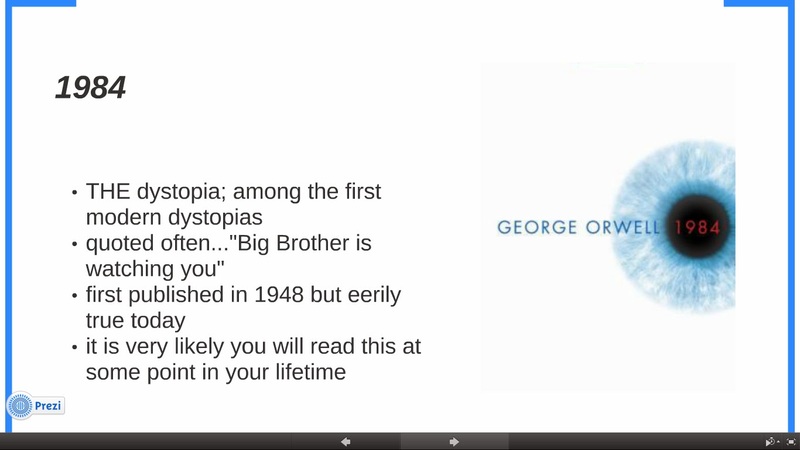 Used with Pre-AP 8th graders. 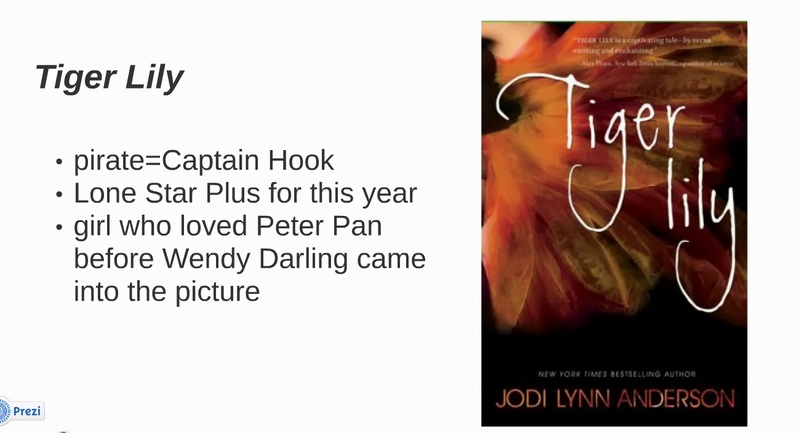 Halloween Booktalks--There are two here: Halloween Costumes and Monster Mash. Used both with 6th grade. 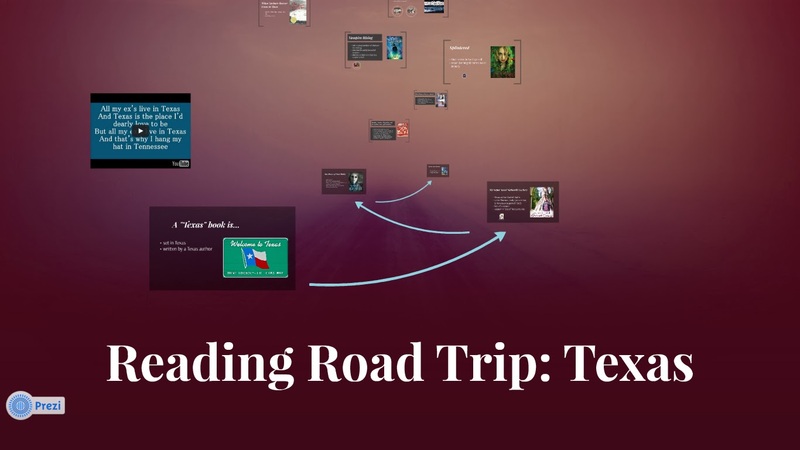 Reading Road Trip: Texas--Texas authors or books set in Texas. Used with 8th grade.